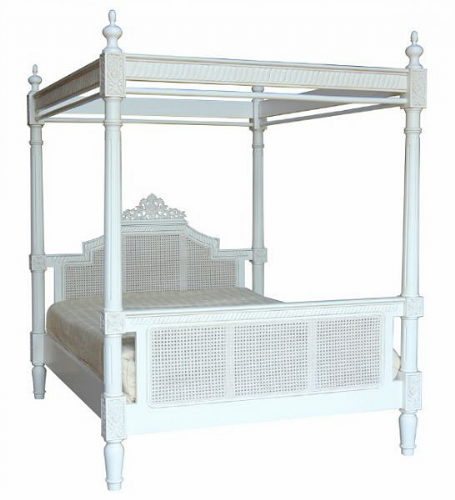 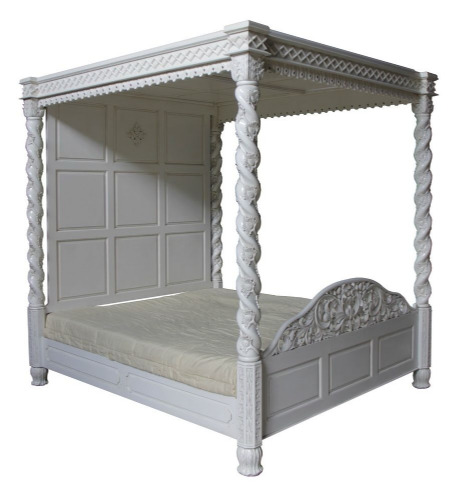 Four Poster Beds really are the ultimate in stylish and romantic luxury. 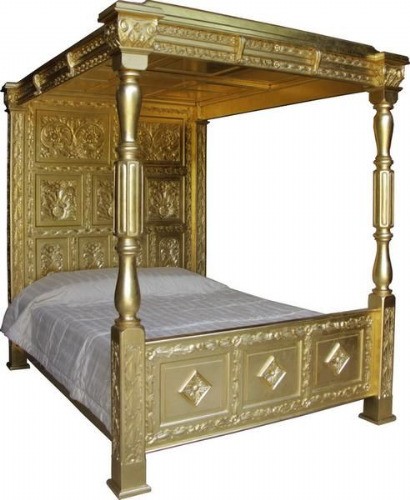 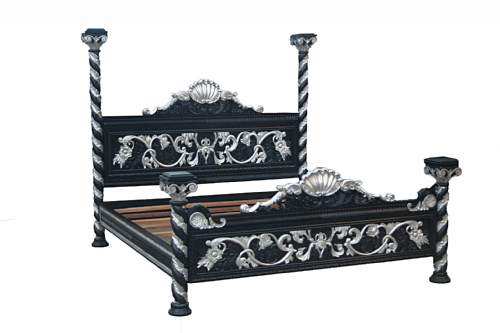 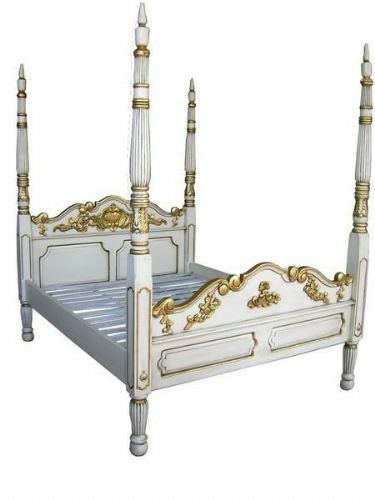 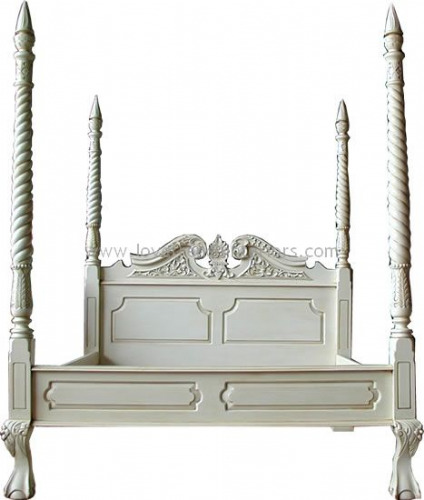 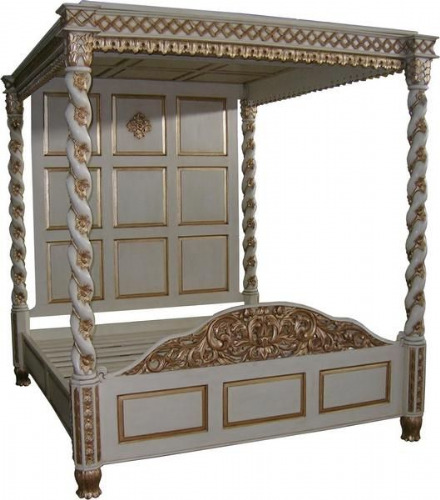 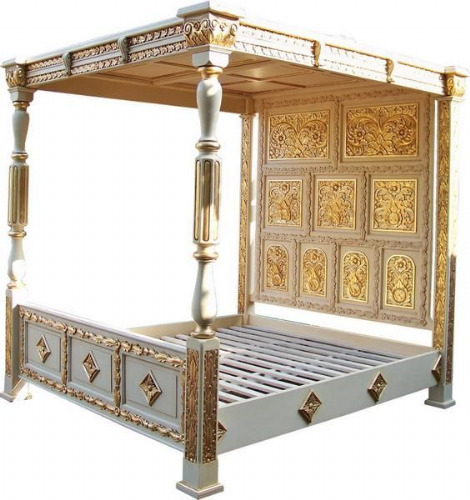 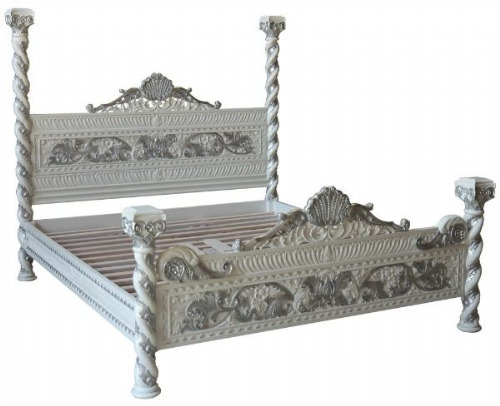 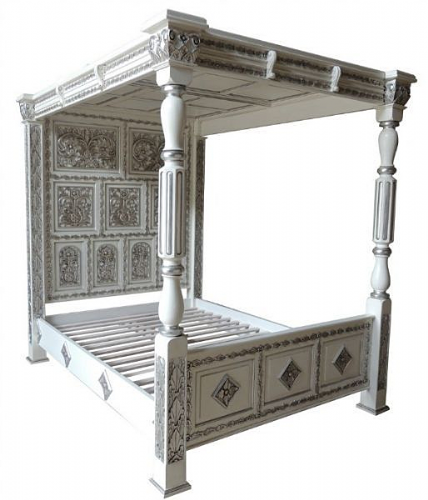 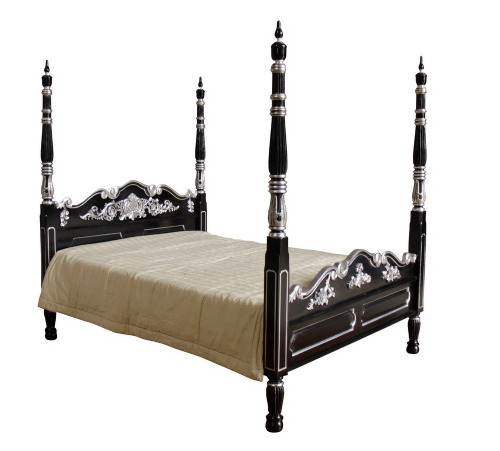 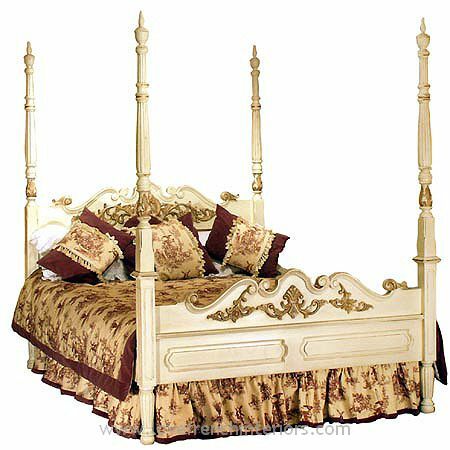 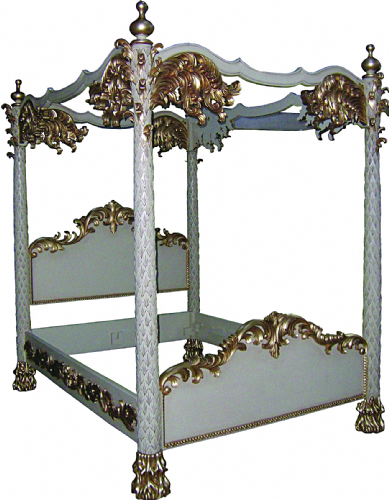 These luxurious beds are hand carved and are available in a variety of styles and sizes - Single, Double, King and Super King. 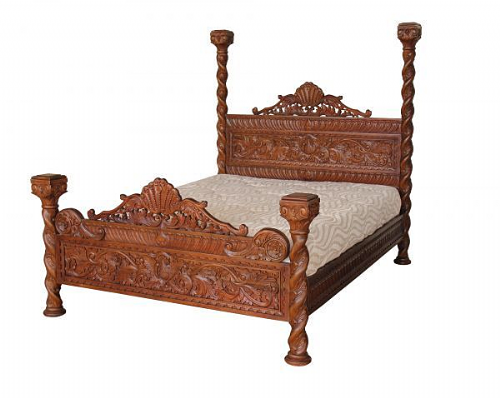 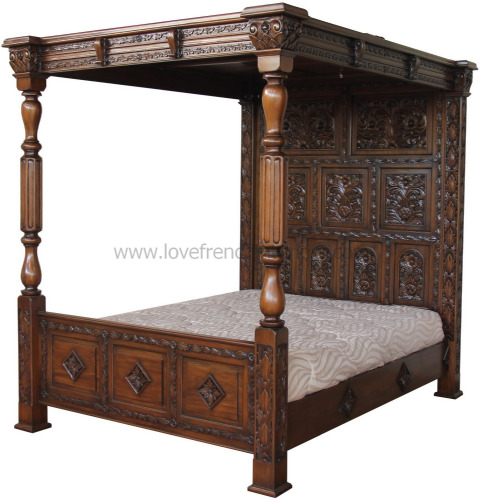 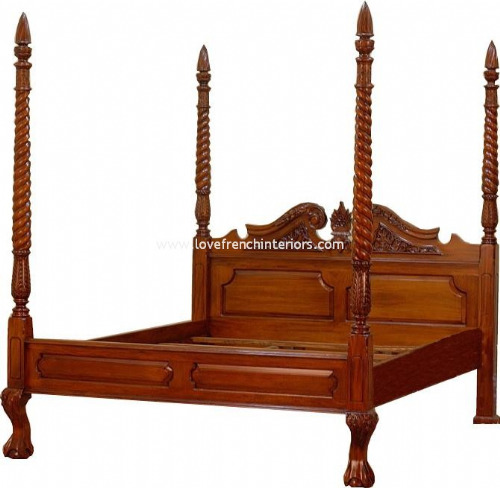 The measurements given for each item include all carvings so are the widest/longest/highest points of the bed. 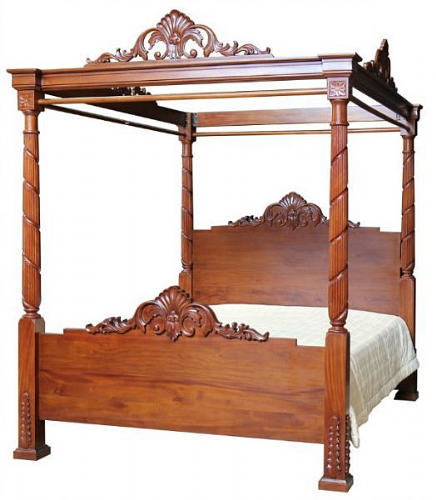 All beds are supplied semi assembled for ease of transport and are easily assembled in just a few minutes. 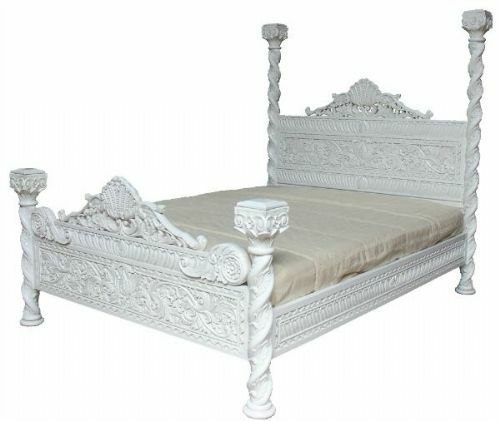 They will take the standard UK size mattress of your choice. 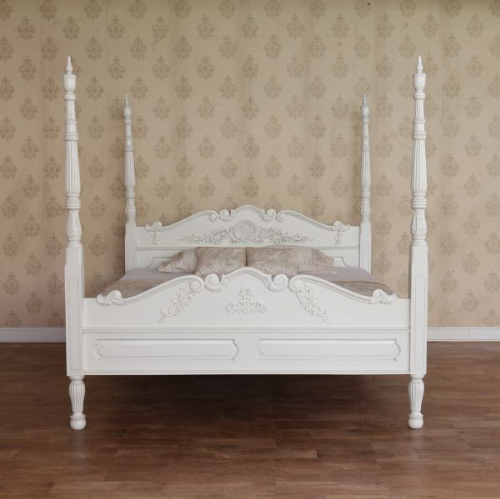 We can supply quality UK hand tufted mattresses and we can also help should you require one of our bed designs in a different size - please ask. 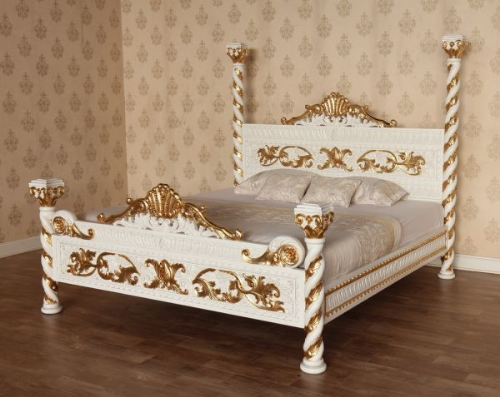 Popular finishes are polished mahogany or antique white but many other finishes are available on request and our bespoke beds can be finished in any colour you choose. 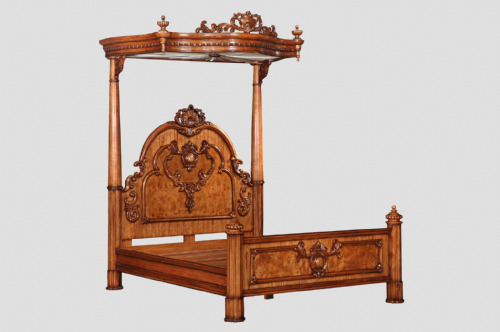 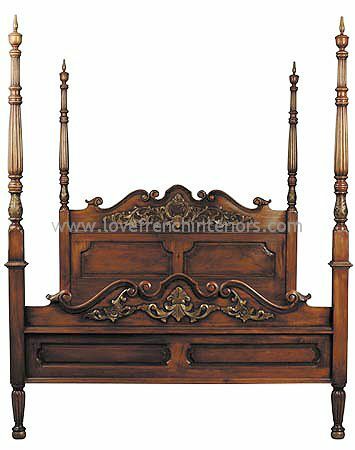 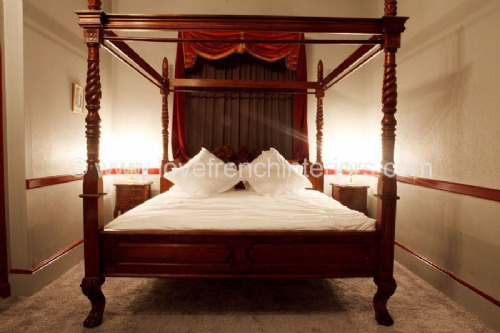 We also offer a range of complimentary french bedroom furniture that will match any bed in our collection to complete your room including bedside tables, wardrobes, dressing tables, chairs, chests of drawers and headboards - an ideal solution should you wish to keep an existing bed.